Join us on either a three or four day Wild and Scenic Deschutes River Fly Fishing Adventure. Fish and float 35 miles of the renowned Deschutes River Canyon in comfort and style, after a long day fishing expect the camp to already be set up and fluffed awaiting your arrival. Spacious tents, Cots and sleeping pads are provided and will be set up and taken down daily. A spacious and cozy wall tent compete with table and chairs provides a spectacular riverside dining ambiance as well as protection form the outside elements. 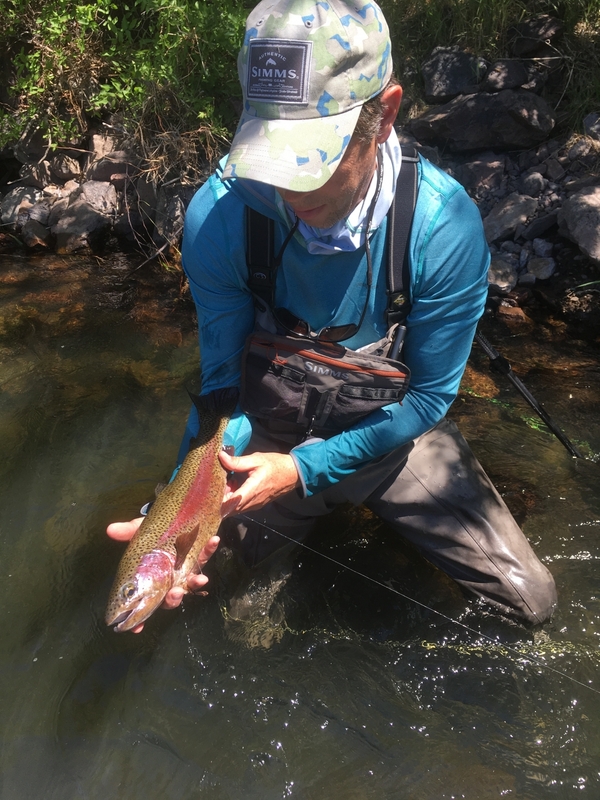 Wade fishing is the name of the game on the Deschutes, as fishing from the boat is illegal so bring your waders and a sturdy wading staff for this superb dry fly destination. Profesional Guides, Delicious Meals and non alcoholic beverages with Breakfast lunch and dinner, comfortable and spacious Tents, Cots, and sleeping pads, a well outfitted camp kitchen including a dining tent, tables and chairs, all fishing flies, leader and tippet, rods and reels upon request, dry bags and all the necessary permits to float the river. 10pm - Zip the door of your tent closed and lay down for a good nights rest on the comfortable camp time cot, or haul it outside the tent to sleep under the stars. At the end of the trip your vehicles will be waiting for you at Harpham Flat if you had them shuttled. If not and you will need transportation to and form the river that can be arranged through Cascade Shuttle Service. Maupin is a short 2 hour drive to the Portland International Airport or 1.5 hours to the Redmond/Bend International Airport.